President Trump on Saturday called CNN’s Jim Acosta “a nice guy,” a day after refusing to take his question at a press event. “So funny! 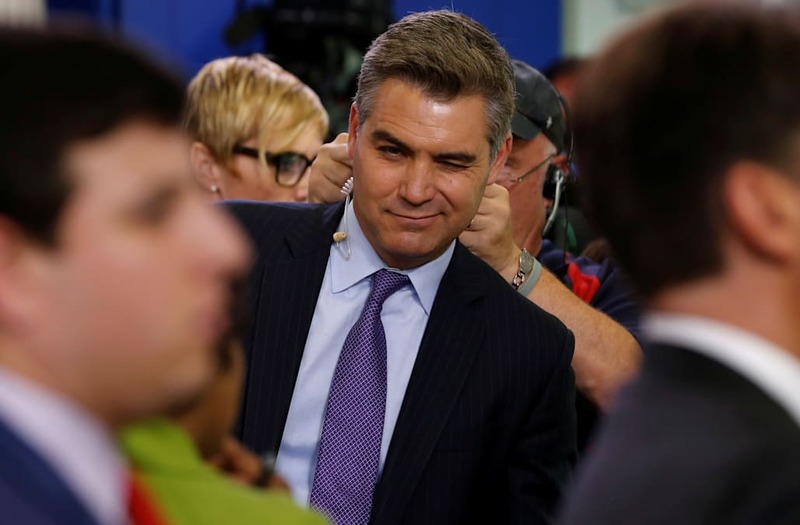 I just checked out Fake News CNN, for the first time in a long time (they are dying in the ratings), to see if they covered my takedown yesterday of Jim Acosta (actually a nice guy). They didn’t! But they did say I already lost in my meeting with Putin. Fake News,” Trump tweeted. The Friday exchange between the president and Acosta occurred during the press conference with British Prime Minister Theresa May. Roberts went on to ask his question. However, later, “some reporters on Twitter criticized Roberts for allowing Trump to move on so easily after steamrolling CNN,” notes Politico. Roberts issued a statement in the wake of the criticism.